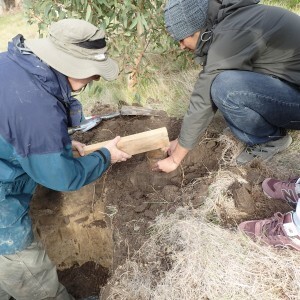 The NZDFI aims to produce micro-site suitability maps for selected eucalypt species. Different species of eucalypts have varying environmental restrictions which limit their growth. By modelling growth of various species as a function of topographic, edaphic (soil-related), and climatic site characteristics, we will improve our ability to select the most appropriate species for any given site. Masters student Thai Son recently completed research into which areas NZDFI should target for new permanent sample plots (PSPs) of E. bosistoana and E. globoidea. Thai Son developed a priority index and produced maps of the best places to locate PSPs in future. Modelling the relationship between growth and site characteristics. We are measuring the growth of more than 20,000 eucalypt trees at various NZDFI trial sites. We are focusing on two species, E. bosistoana and E. globoidea, with ages ranging from 5– 13 years. The height and diameter at breast height (DBH) for each tree will be measured at least two times to determine their growth over a specific time period. 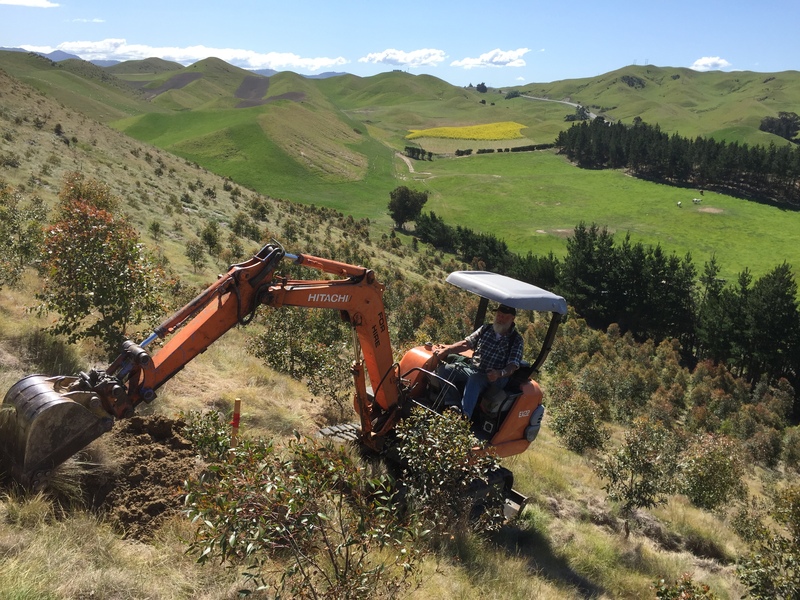 Understanding a site’s topographic, edaphic, and climatic characteristics is necessary to understand how environmental conditions affect tree growth at the NZDFI trials. Macro-site data are freely available, but the accuracy of these data are insufficient for micro-site species matching. For example, at a single planting site, the radiation received by trees on a north facing slope will significantly exceed the radiation received by trees on a south facing slope, but available data will not account for this difference. 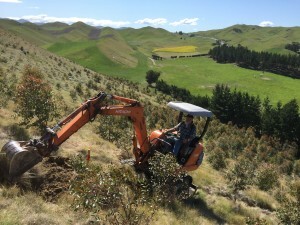 So we are undertaking micro-site characterisation at a number of NZDFI trial sites. High resolution, site-scale topographic maps are being developed to account for small changes in topography within growing sites. 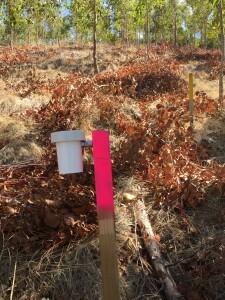 Changes in soil characteristics are being measured across topographic gradients within each site. For example, the soil moisture holding capacity is being measured at the top of a slope, mid-slope and on the toe of the slope, to understand how these edaphic differences can lead to differences in tree growth. 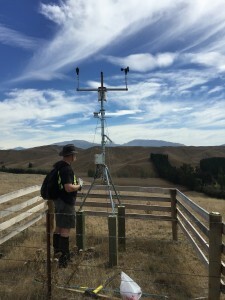 Finally, micro-site climatic data are being collected, in many cases hourly to better explain the temperature, radiation, precipitation, and wind variation within and across trial sites. 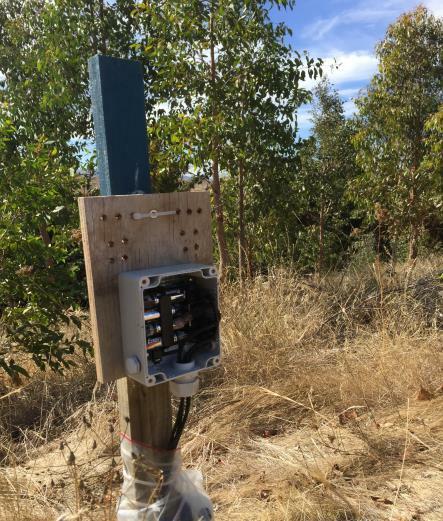 Dr Justin Morgenroth and Professor Euan Mason are working together on the site-species matching research. We co-supervise one PhD student, Serajis Salekin. Visit the School of Forestry website to learn more about matching species to site research.